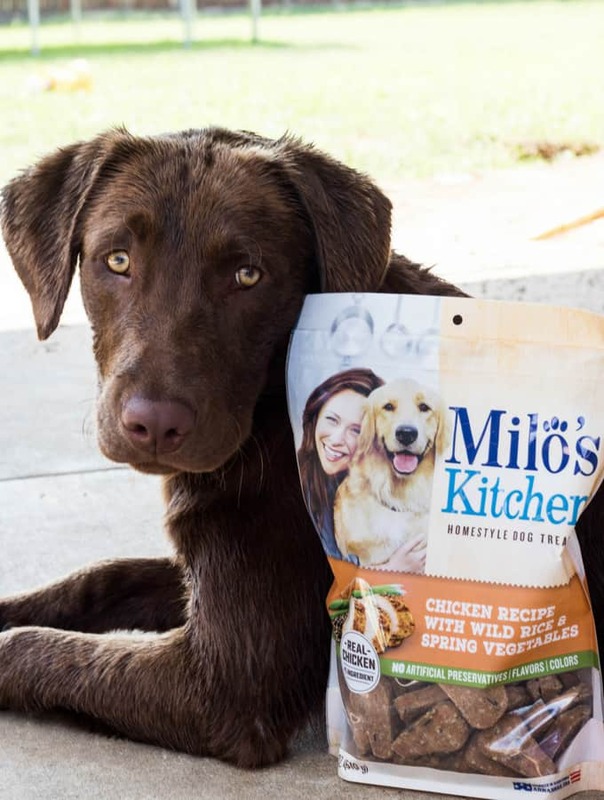 This post is sponsored by Milo’s Kitchen® Homestyle Dog Treats, but all opinions are 100% my own. We got our oldest dog, Harley, when I was about 4 months pregnant with our daughter. Everyone, and I mean everyone, called us crazy for getting a puppy when we were about to have a newborn, but I still think it was the best decision we ever made. 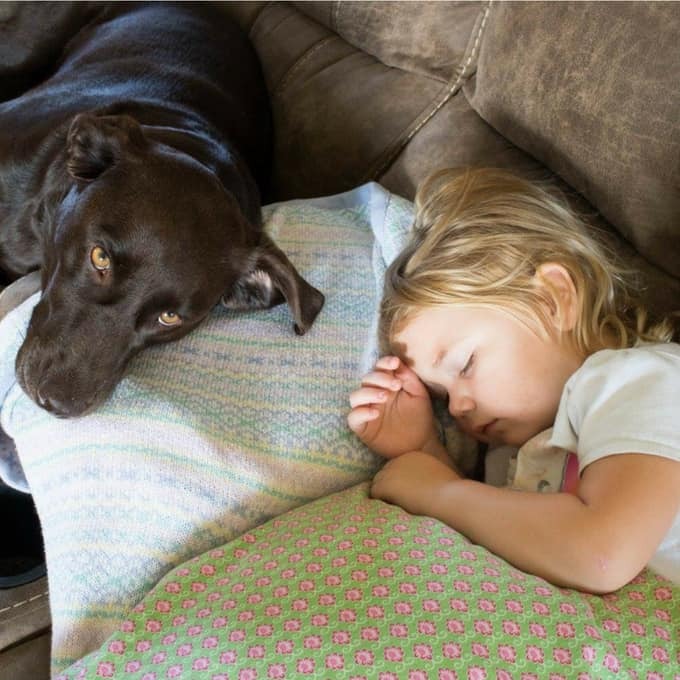 Although it can be hectic having both kids and dogs, these are the reasons why I think that every little girl should own a dog. Our daughter is never lonely. Both her and our dog Harley are 4 years old. They grew up together as best friends, partners in crime, and now they hardly leave each other’s side. Our dog will continue to be a shoulder for her to lean on when she starts school and dogs make an excellent playmate. 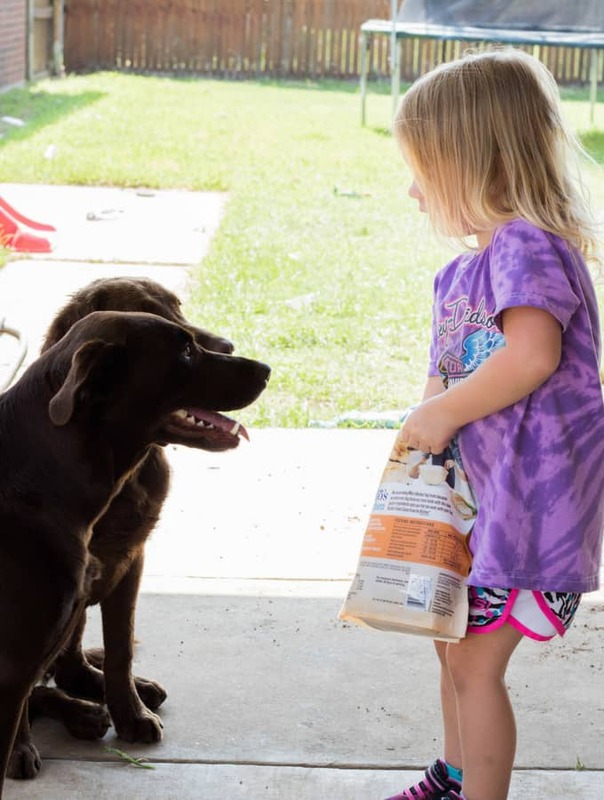 With Braylee being our only child, she finds her companionship in Harley and they are often playing together in the backyard, keeping each other company. 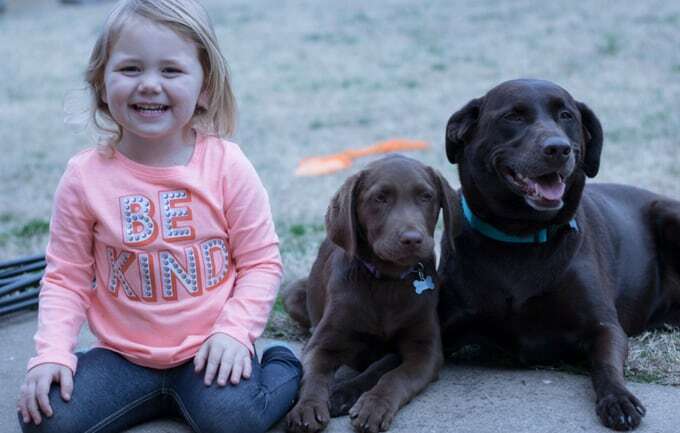 Braylee is just a preschooler and already knows how to take care of an animal. She not only knows how to feed them their meals, but actually looks forward to it every morning and evening. It is also too cute to watch her get joy out of feeding our dogs their treats. 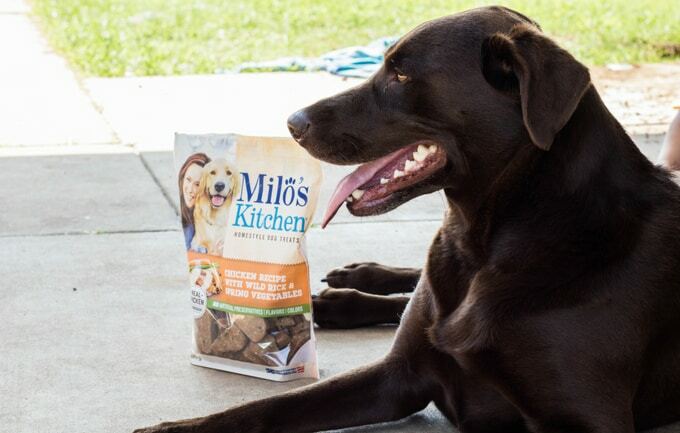 We use Milo’s Kitchen® Homestyle Dog Treats because beef, chicken or duck are the #1 ingredients in their treats. They actually are what they look like: jerky, sausage slices, or meatballs. 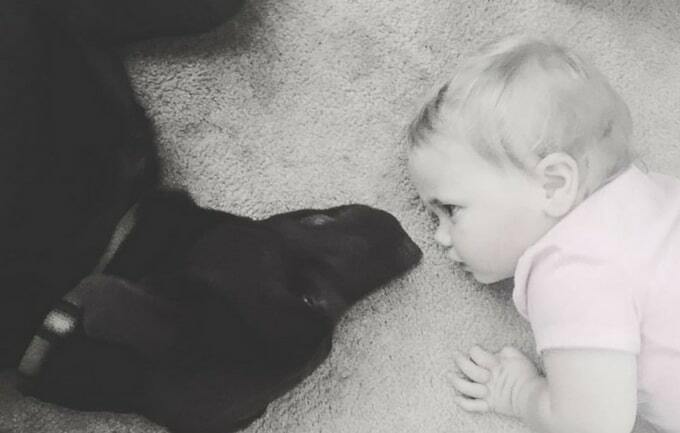 Our dogs go crazy for them and that gives our daughter room to learn how to train and take care of our dogs properly. 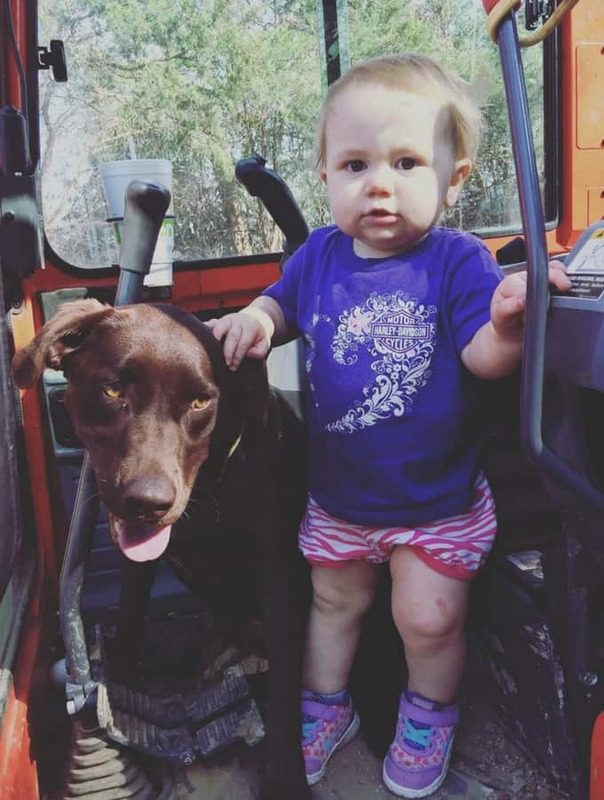 Both of our dogs are chocolate labs so I wouldn’t say they are super aggressive or anything, but I know for a fact if anyone were to approach our daughter that they would protect her. Most days I let Braylee play out in the backyard with the dogs while I cook dinner and I always know if they dogs see someone strange through the fence because they bark to let me know and I can check it out. It eases a lot of my worry about her playing outside even though she is just in the backyard. We all feel a lot safer knowing that our dogs are here to alert us if anything is weird! 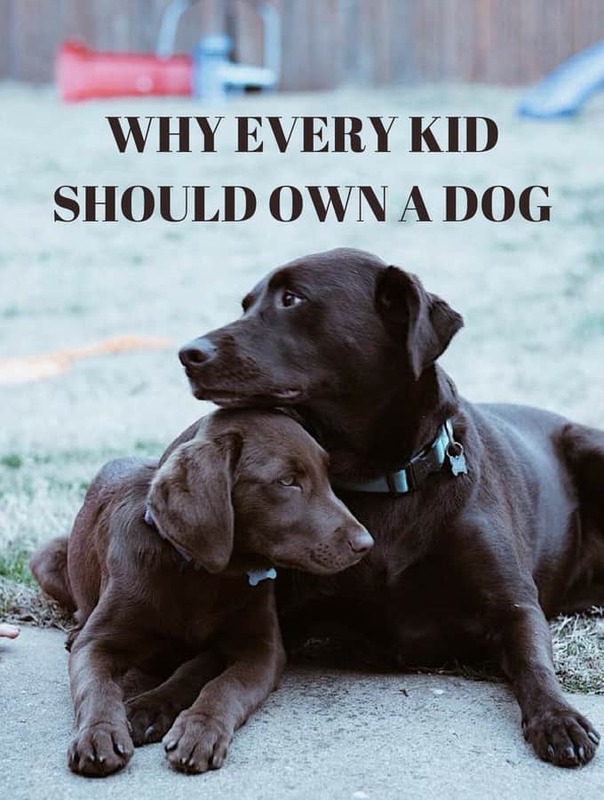 Having a dog is an easy way to keep kids active throughout their childhood. Playing in the backyard or going on walks are just some of the ways you can get active with your pets. Lots of breeds love to do things like hiking, going to the lake to swim, running, etc. Having the responsibility of taking the dog out for exercise gets kids up and exercising too! Previous Post: « Tips for Keeping Your Kitchen Clean – even with kids!